The source of the intelligence leaks that revealed the National Security Agency's massive domestic surveillance program last week was identified on Sunday by the Guardian and Washington Post as Edward Snowden, a soft-spoken 29-year-old former technical assistant for the CIA and current employee of NSA defense contractor Booz Allen Hamilton. Snowden, a Hawaii resident who was interviewed by the U.K. newspaper in his hotel room in Hong Kong where he is hiding, said he has no regrets about going public—even if he never sees his family again. "I don't want to live in a society that does these sort of things," Snowden said. "I do not want to live in a world where everything I do and say is recorded. That is not something I am willing to support or live under. ... I can't in good conscience allow the U.S. government to destroy privacy, Internet freedom and basic liberties for people around the world with this massive surveillance machine they're secretly building." News reports that this individual has claimed to have leaked classified information are shocking, and if accurate, this action represents a grave violation of the code of conduct and core values of our firm. We will work closely with our clients and authorities in their investigation of this matter. The White House declined to comment on the identification of the NSA leaker, according to a press pool report. Snowden said he decided to leave his family, girlfriend and a comfortable, $200,000-a-year salary behind, and flew to Hong Kong on May 20. He said he chose China because "they have a spirited commitment to free speech and the right of political dissent." The newspaper said it revealed Snowden's identity at his request, but that he is concerned it will become a distraction. 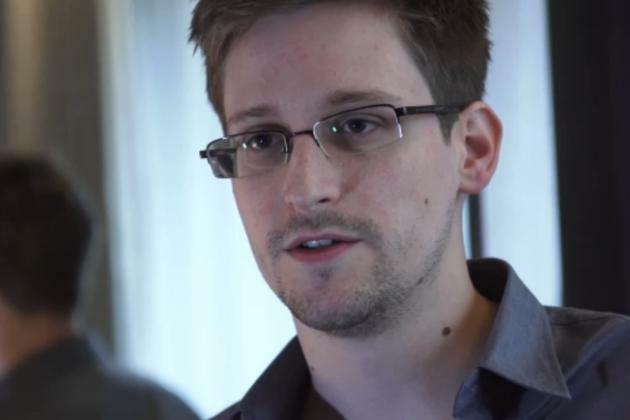 "I don't want public attention because I don't want the story to be about me," Snowden said. "I want it to be about what the U.S. government is doing." Snowden said he realizes the government will come after him the same way it did with Bradley Manning, the former U.S. soldier who is currently on trial, accused of providing thousands of classified documents to WikiLeaks. 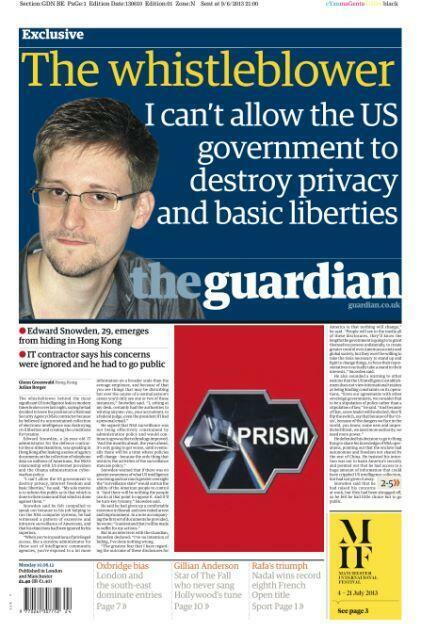 "All my options are bad," Snowden said. "I could be rendered by the CIA. I could have people come after me. Or any of the third-party partners." Snowden said he's left his hotel room just three times in three weeks and is paranoid he's being watched. "We have got a CIA station just up the road—the consulate here in Hong Kong—and I am sure they are going to be busy for the next week," he continued. "And that is a concern I will live with for the rest of my life, however long that happens to be." Snowden said he "carefully evaluated every single document I disclosed to ensure that each was legitimately in the public interest. There are all sorts of documents that would have made a big impact that I didn't turn over, because harming people isn't my goal. Transparency is. "My sole motive is to inform the public as to that which is done in their name and that which is done against them," he added. "The only thing I can do is sit here and hope the Hong Kong government does not deport me. ... My predisposition is to seek asylum in a country with shared values. The nation that most encompasses this is Iceland. They stood up for people over Internet freedom. I have no idea what my future is going to be." A spokesman for National Intelligence Director James Clapper did not immediately respond to a request for comment by The Associated Press. Last week, Clapper blasted the disclosure of the classified program, saying it had already done "grave damage." Before Snowden's identity was revealed, Rep. Mike Rogers, chairman of the U.S. House Intelligence Committee, and Senate Intelligence Committee chair Sen. Dianne Feinstein told ABC's George Stephanopoulos on Sunday that those who leaked information about the NSA surveillance program should be charged with a crime. "I absolutely think they should be prosecuted," Rogers said. "I understand that I will be made to suffer for my actions," Snowden wrote in a note accompanying the first set of documents, according to the Guardian. Snowden said he thought about disclosing the program sooner but was hopeful the election of President Barack Obama would change things. But "[Obama] continued with the policies of his predecessor," Snowden said. Last week, the president defended the NSA program as essential to national security. "It's important to recognize that you can't have 100 percent security and also then have 100 percent privacy and zero inconvenience," Obama said. "We're going to have to make some choices as a society. And what I can say is that in evaluating these programs, they make a difference in our capacity to anticipate and prevent possible terrorist activity." Snowden, who enlisted in the U.S. Army in 2003 hoping to fight in the Iraq War only to be discharged after breaking his legs in a training accident, told the Guardian, "We have to decide why terrorism is a new threat. There has always been terrorism." On "Fox News Sunday," Sen. Rand Paul said he would seek a Supreme Court challenge to the surveillance program. "I’m going to be asking all the Internet providers and all of the phone companies: Ask your customers to join me in a class-action lawsuit," Paul said. "If we get 10 million Americans saying we don’t want our phone records looked at, then maybe someone will wake up and something will change in Washington." Meanwhile, a petition urging the Obama administration to pardon Snowden was posted to the White House website on Sunday afternoon. "Edward Snowden is a national hero and should be immediately issued a full, free, and absolute pardon for any crimes he has committed or may have committed related to blowing the whistle on secret NSA surveillance programs," the petition read. By Sunday night, the Twitter hashtag "#IStandWithEdwardSnowden" was trending in the United States.